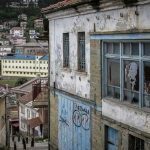 This is a popular route for independent travellers and backpackers in the Balkans but there is no direct public transport between the two places and little information online about how to go about undertaking the journey. 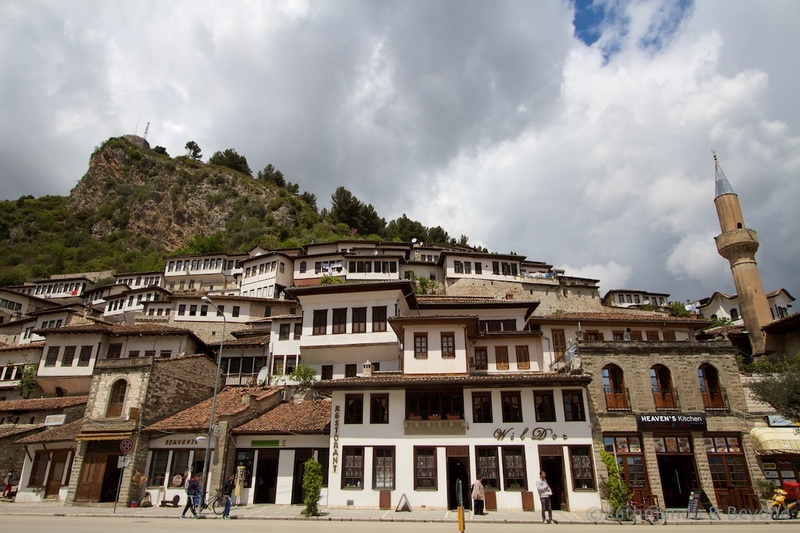 So this is a short post outlining how we got from Ohrid to Berat using public transport. 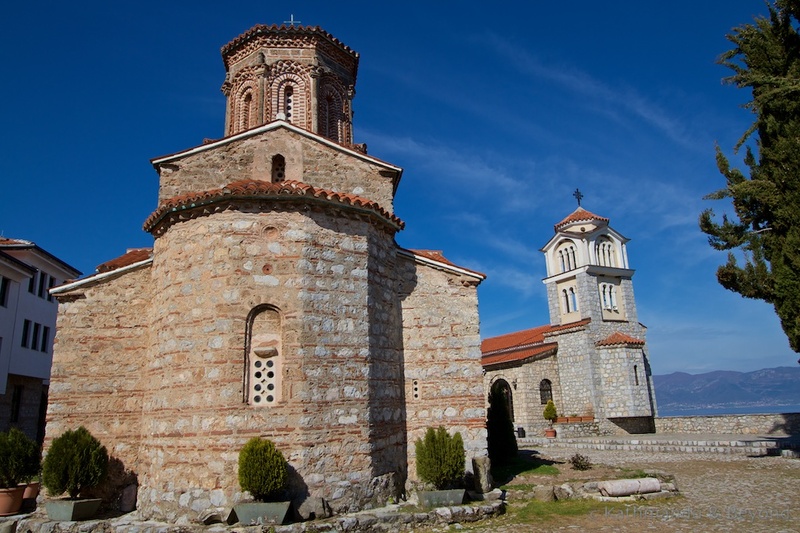 Firstly, you need to take a bus from Ohrid’s main bus station to Sveti Naum (Saint Naum Monastery). The distance is about 30km and there are currently six daily buses from the town’s main bus station. The current bus schedule (correct as of June 2017) has buses departing at 0630, 0830, 1130, 1330, 1530 and 1830 and the price is 110MKD per ticket (*). (*) In case you just want to take an excursion to Sveti Naum, the return timings for the bus are 0705, 0920, 1220, 1420, 1620 and 1920. It is sensible to be on the 0830 bus to Sveti Naum (to allow enough time to complete the entire journey) and the bus passes along Boulevard Turistichka (see map), so you can hop on there and save a trip out to the bus station itself (*). It’s a good idea to double check the latest schedule with the Tourist Information Centre in Ohrid. (*) If a Macedonian guy in his late 60s, speaking perfect English, rocks up in a car outside the bus stop and offers to take you to Sveti Naum for more or less the same price as the bus, consider taking him up on his offer. He is a retired professor/academic, who does a bit of moonlighting as a taxi driver in order to supplement his pension. A fantastic local character from whom we learnt more about daily life in Macedonia by travelling in a car with him for 30 minutes than we did during the rest of our entire time in the country. He will also drop you at the border if you prefer (see below). As for the price, he charged us 400MKD for the car. (up to four passengers). There were four of us waiting at the bus stop but, after some dithering, the other two decided to wait for the bus so we paid the amount just for the two of us. Also, if you take a taxi, you can also include a stop at the Museum on Water/Bay of the Bones but note it doesn’t open until 9am. The bus will only take you as far as the monastery. 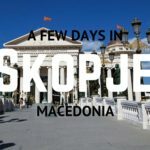 This is not a bad thing as the monastery itself, with its lovely location on the lake, is worth visiting but from there you need to walk to the Macedonian border control, which is 600 metres further east. The trail isn’t well defined but ask around and someone will point you in the right direction. Don’t end up in the nearby military base as we did, although the soldiers were friendly enough and did help us get back on track! After clearing Macedonian border formalities, you need to walk another 500 metres or so to the Albanian border control. In short, after arriving in Albania, you need to get to Elbasan, which is the main town in the region. But there is no public transport from the border to Elbasan so you are likely to have to do the journey in stages. We walked from the border to Tushemisht, a journey of 2.3km (*). From Tushemisht we took a furgon (fixed route minivan) to Pogradec and then another one to Elbasan. If there is a taxi waiting at the border (there wasn’t when we arrived), you could negotiate a fare to either Tushemisht or Pogradec or even all the way to Elbasan if you wanted to. We didn’t have to wait long for either of the furgons that we took. (*) If you walk from the border to Tushemisht, you’ll get your first glimpse of Albanian’s infamous bunkers – the shore of the lake is riddled with them. Not quite heading the right way after leaving the monastery … And then, back on track again! Elbasan has a proper bus station with scheduled departures but, as anyone who has visited or knows the country will tell you, public transport schedules in Albania are notorious for continually changing. Even if I could provide a schedule of sorts, it wouldn’t be that reliable so it’s best to leave Ohrid at a good hour (we departed at 8am) and ask locally about the onward journey as you go. There are no direct buses or furgons to Berat from Elbasan. Instead, you need to take a Tirana-bound bus and let the driver know that you want to get down at the junction of routes SH7 & SH14 (coordinates 41.073065, 19.636599), just past the town of Rrogozhinë. This journey (about 46km) will take about an hour. At the junction, all you have to do is cross over the road from where the bus drops you and flag down one of the numerous furgons that ply between Tirana and Berat. We didn’t have to wait more than 20 minutes for one to pass and the journey (55km) took another hour. In Berat, the furgons terminate near the Lead Mosque in the centre of town. We got some Albanian lek before leaving Ohrid. I’m not sure if you can use Macedonian denar across the border or indeed euros. According to one source I looked at on the Internet, there is an ATM in Tushemisht but, as we didn’t need it and therefore didn’t look out for one, I can’t vouch for that information. The whole journey, from door to door, took us about 6 hours in total. 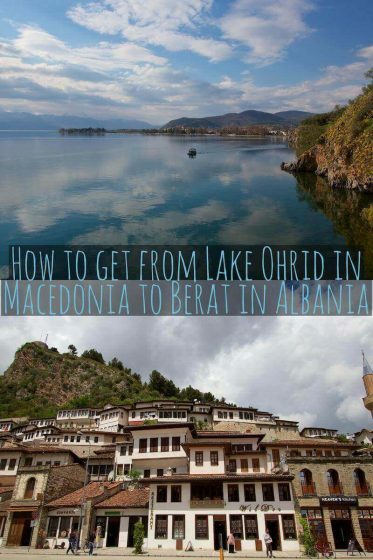 That was our experience of getting from Ohrid to Berat via the southern shore of the lake, but you can also get from Ohrid to Berat via Struga, a small town on the northern shore of the lake, approximately 15km from Ohrid. To do this, you will first need to take a bus/minivan from Ohrid to Struga. These depart every twenty minutes or so, cost 40MKD per ticket and take about 30 minutes to reach Struga. They also depart from Boulevard Turistichka in downtown Ohrid. From Struga there are two daily buses to Tirana. These buses travel to Tirana via Elbasan and Durres (looking at a map, this isn’t the logical route but the road must be better), which means you can get off at the junction of routes SH7 & SH14 and pick up onward transport to Berat as described above. The Struga to Tirana bus departs at 0930 and 1300. The morning bus costs 660MKD per ticket and the afternoon bus costs 800MKD per ticket. This information is correct as of June 2017 and the fare quoted above is for the journey all the way through to Tirana. I’m not sure if the price is less if you only go as far as the junction of routes SH7 & SH14. We enjoyed the route we took, it was good fun and constantly breaking the journey meant that, overall, it didn’t drag. We met some friendly people along the way (including a shepherd who guided us from one border to the other (not that you need any help!) and a plainclothes policemen in Elbasan, who explained how we could get to Berat and sorted out our tickets for us) and apart from a bit of hanging around in Elbasan (which allowed us time to grab a quick burek*), all of the connections worked well. *Tasty, if calorie-laden, meat or cheese filled filo pastry pie found all over the Balkans. 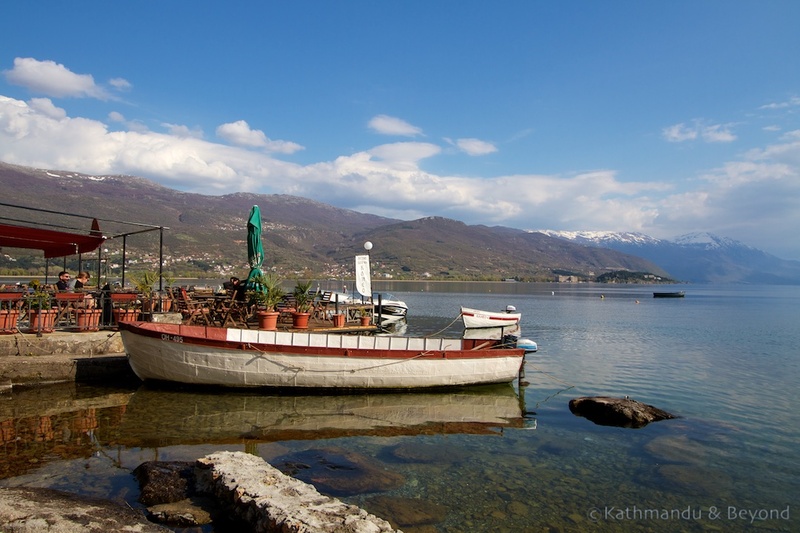 If you travel from Lake Ohrid in Macedonia to Berat in Albania on either of these routes using public transport, do let us have any new/additional information and we will update this blog post accordingly. Thank you. 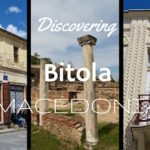 Discovering Bitola: Macedonia’s most underrated town? Wow! Such a marvelous place. Thanks for sharing. I guess it is safe to say that none of these buses had toilets on board? A toilet?! Haha, you’re lucky to find fully functioning seats on most buses! Now, that would be a novel idea – marshrutkas with en board toilets! I just went from Ohrid to Berat via Struga and Elbasan. I got the city bus from Ohrid to Struga (40 MKD, there are many stops, so best to ask and see which is closest to your accomodation!). Then, the 9:30am bus to Tirana, which was one hour late. I got off in Elbasan and walked to the bus station a few minutes away. There, I got a furgon directly to Berat which left around 1pm and took about 3 hours. Hello Anne, thanks for the update, glad it all worked out OK! Thank you very much. It’s been very helpful. Muchísimas gracias. You’re welcome and I hope you enjoyed the region! No problem Kiri! Once you get to Elbasan you will be able to take transport to Tirana and from there to Shkoder. If you leave at a decent hour it should all work out fine! Oh, and I plan to do this between Herceg Novi and Podgorica: bus to Risan, walk Risan-Perast-Dobrota-Kotor (bus for the last stretch if I’m low on time/knackered! ), late bus Kotor to Podgorica.